Steam Table Heated Drop In - G.A. Systems, Inc. 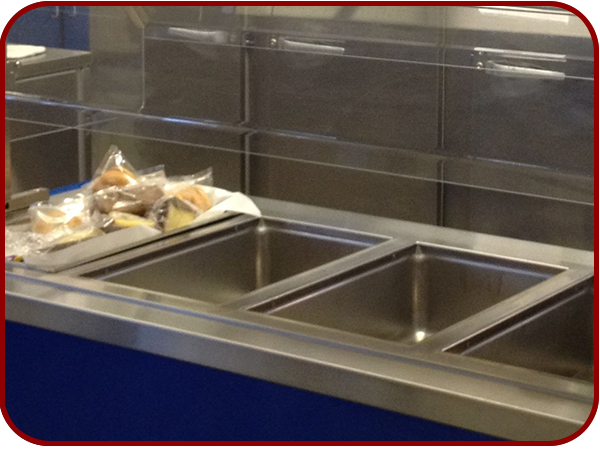 Steam Table Drop Ins are perfect for any new or existing counter top. 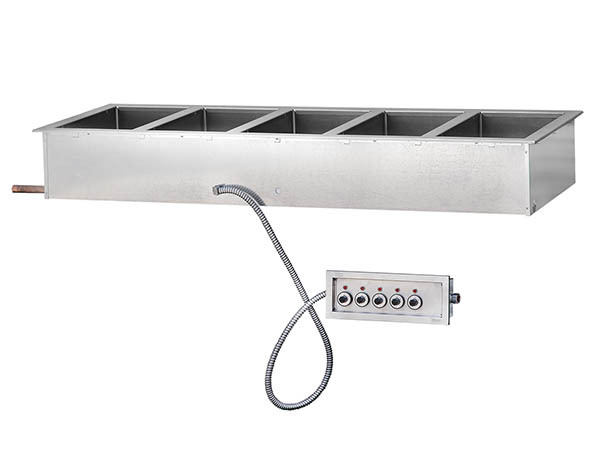 They can be used with 12”x20” food pans with water for moist heat or without water for dry heat. The wells are heated with the use of a concealed heat element. Our steam table drop in wells allow you to choose moist or dry heat for your food, each well is individually controlled, has a drain and all wells are manifold into one drain. This design allows the flexibility to have some of the wells using moist heat and some of them using dry heat at the same time. 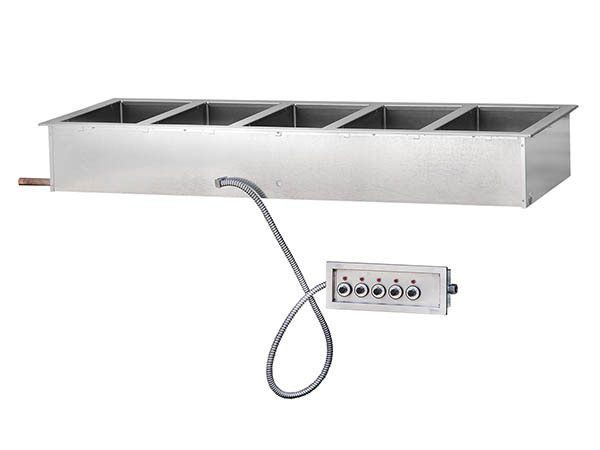 Steam Tables Drop Ins come with a manifold drain. Each well has a 1″ drain that is manifold together to drain out water at the end of serving. 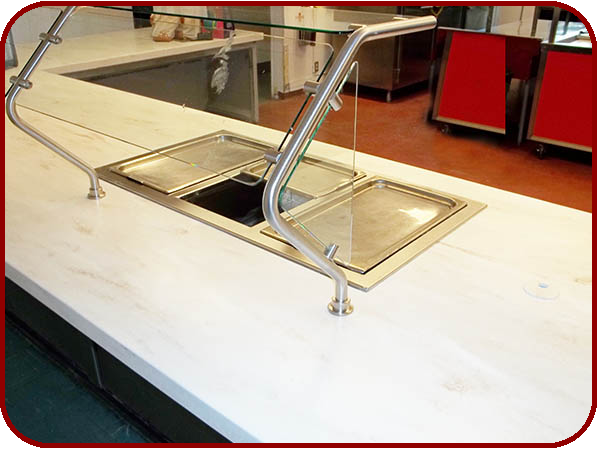 Simple dial controls make it easy for employees to operate. 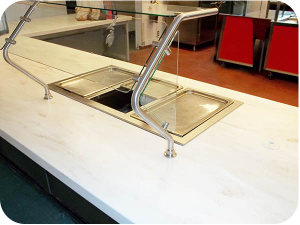 Each steam table drop in comes with our proprietary twist counter locking systems to secure the drop in to your counter top or cabinet. 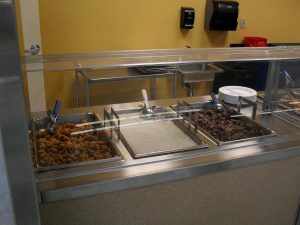 Steam Table Drop Ins by G.A. Systems are designed to be used without water. 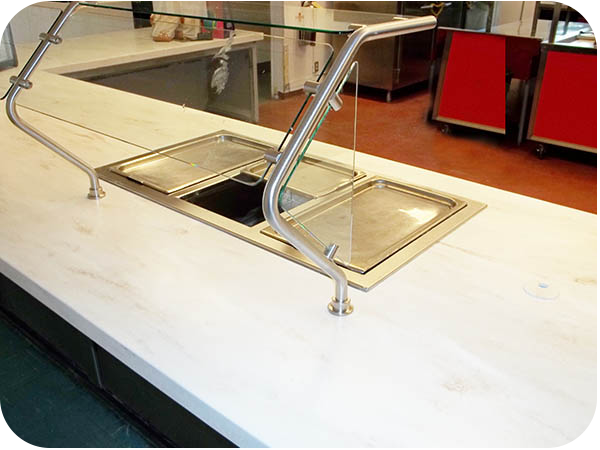 The heat element is concealed and the wells are manufactured stainless steel, never die stamped or pressed.